On Tuesday, U-T San Diego reported San Diego High's hiring of Knengi Martin as it's new head coach of the varsity football team. She replaces Doug Packwood who recently decided to step down after three years with the Cavers. This move makes Martin the first woman in CIF San Diego Section history to head coach a prep football team at the varsity level. According to Max Preps, she could possibly be just the second in California. Before the unexpected promotion, Martin served as the head coach for the Cavers' freshman and JV squads. 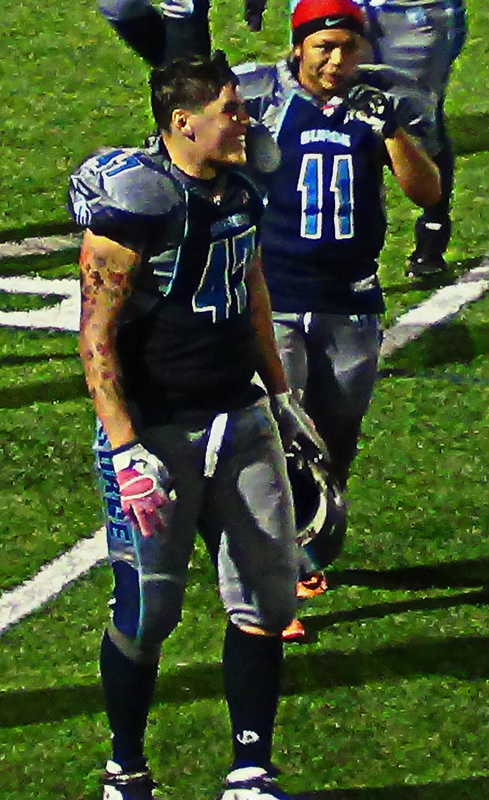 During the spring, Martin plays linebacker and tight end for the San Diego Surge of the Women's Football Alliance. This past season she was named the American Conference Defensive MVP after helping the Surge to an 11-1 record. In 2012 she helped the team win it's first WFA national title. Martin's varsity debut will be put on hold with the Cavers (1-2) having a bye this week. Her first game will be at University City (1-1) on Friday, September 26th at 6:30 p.m. pacific time.